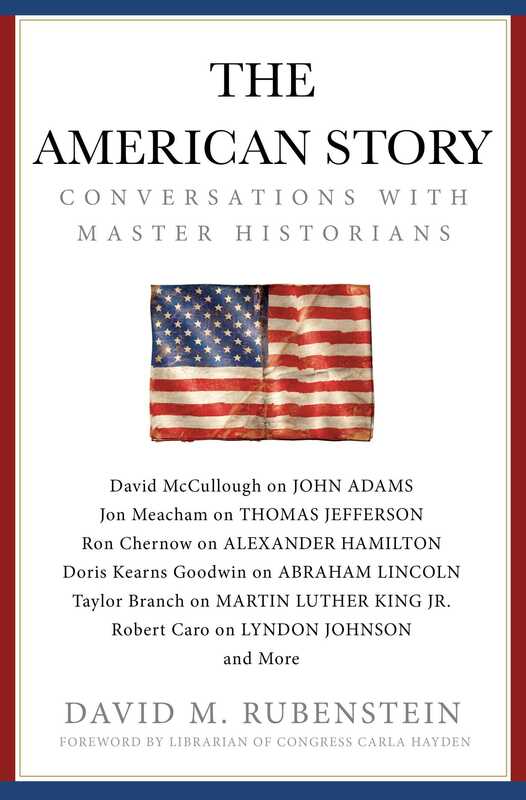 Co-founder of The Carlyle Group and patriotic philanthropist David M. Rubenstein takes readers on a sweeping journey across the grand arc of the American story through revealing conversations with our greatest historians. In these lively dialogues, the biggest names in American history explore the subjects they’ve come to so intimately know and understand. Through his popular program The David Rubenstein Show, David Rubenstein has established himself as one of our most thoughtful interviewers. Now, in The American Story, David captures the brilliance of our most esteemed historians, as well as the souls of their subjects. The book features introductions by Rubenstein as well a foreword by Librarian of Congress Carla Hayden, the first woman and the first African American to lead our national library. Richly illustrated with archival images from the Library of Congress, the book is destined to become a classic for serious readers of American history. Through these captivating exchanges, these bestselling and Pulitzer Prize–winning authors offer fresh insight on pivotal moments from the Founding Era to the late 20th century.